Team17 has published another new trailer for My Time at Portia, a sandbox simulation RPG coming to Nintendo Switch. In the new trailer, we see how relationships work in My Time at Portia. Namely, characters get closer to you through various interactions – which can also blossom into a romance later. Check out the details and trailer below. Life in My Time At Portia is full of activities. Whether it’s mining, farming, building or exploring, there’s always something to do! 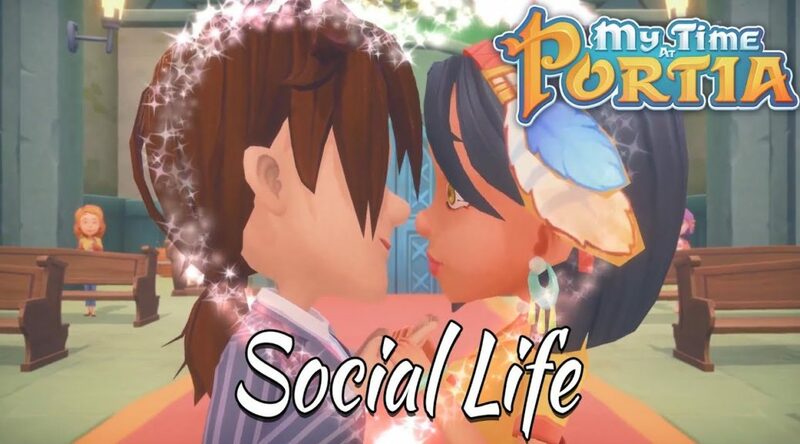 But did you know that there’s a huge social aspect to life in Portia too? The citizens of Portia town are a unique group of people who come from different backgrounds, with different likes and dislikes, and have varying daily routines. You can interact with them in a number of ways to build friendships, romantic relationships, and even get married!